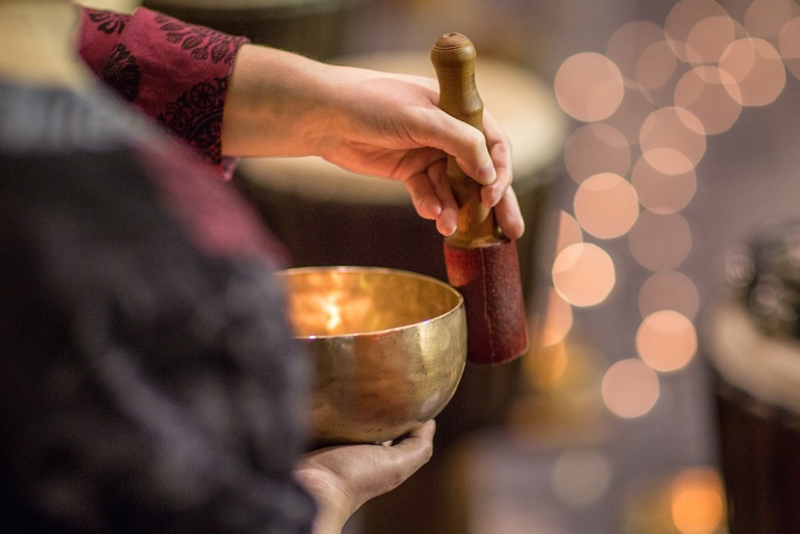 Join us for an afternoon of Soul sharing and connection, making and taking Self-care gifts (i.e., essential oil lip balm) for your self or loved ones, and relaxing and restoring with a Sound immersion in gongs, crystal singing bowls, and other soothing instruments. The day will also include journaling, meditative movement, creating chakra bliss candles, and mala beads. Wear comfortable clothing and bring a yoga mat and blanket for your comfort. SATYA (Seacoast Area Teachers of Yoga in Action) is a non-profit organization with a mission to increase access to therapeutic yoga for at-risk and vulnerable populations in our Seacoast community. We envision a future where all members of our community have access to the profound therapeutic potential of yoga regardless of social, physical, and financial barriers. SATYA provides specialized yoga classes to diverse populations, offers teacher support and training, hosts community events and partners with local yoga studios, businesses and other agencies by providing yoga as a complementary therapy. SATYA's Yoga & Cancer, Yoga for ALL Abilities and Yoga for Trauma and Addiction Support programs provide over 20 free yoga classes per week to our communities.